Translating Japanese is hard. You need to have strong language proficiency in two languages – native language, and Japanese. 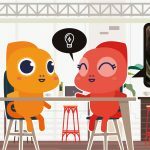 To be a translator, you need to go beyond the average, and it means that you have to understand both cultures and the choice of words in a sentence to be able to capture feeling, emotion, and nuance. Winnie, who is a Malaysian girl who wants to be a Japanese-English translator in 2025, she shared with us how she started the journey and what it is going to take to achieve her dream. Hi, I’m Winnie from Malaysia. 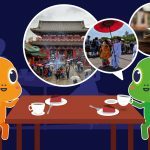 I want to thank Queenie for inviting me to talk about my Japanese learning experience on Kawa Kawa Learning Studio’s website. 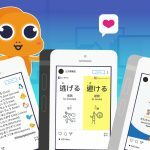 I feel glad to be able to share my Japanese learning experience with others through this website. First of all, I would like to start by introducing myself. I’m 19 years old and I’m a Malaysian Chinese. My native language is Chinese but I can also speak English and Malay because I learned them in school since elementary school to secondary school (11 years). I’ve just graduated Foundation in Arts and I started studying Bachelor Degree in English Language and Literature last September. I started to learn Japanese since I was 14 years old. I used to practice writing Hiragana and Katakana on any papers that I could find anywhere every day because I was fascinated by how beautiful and cute Japanese characters are. When I was 17 years old, I decided to study hard for Japanese so I bought Minna no Nihongo textbooks. I used one month to finish the first book, which is equivalent to N5 level, and another one month to finish the second book, which is equivalent to N4 level. 1. I actually study Japanese every day, from morning to night, even when I’m busy. In addition, my study load is huge as I can focus on my studies for a long period of time. For example, I can study 18 grammar points in 3 hours without any break time. Despite this, I’ve never gotten tired or stressed from studying Japanese. Besides, I plan everything before I start to do something to make sure that I do not waste any time each day. 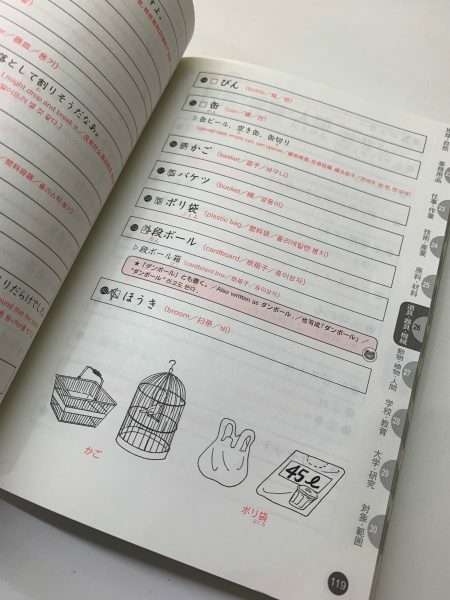 For example, I would plan out what textbooks I’ll use, separating the textbooks into smaller sections and calculating the time I would need to finish studying it before I start to plan my Japanese study routine. 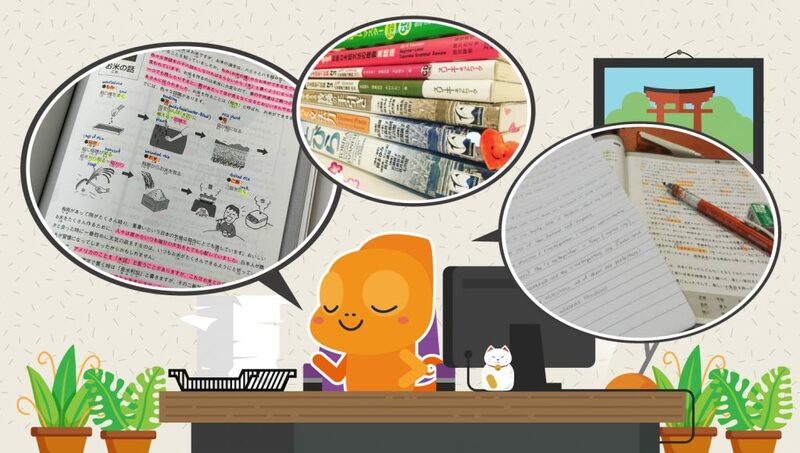 Therefore, I would define my study style as “the hard and smart learner” in learning Japanese. The reason behind why I am so dedicated to Japanese language and culture is because I was challenged by my family for studying Japanese. When I study Japanese, my father will get angry because he does not like Japan and also Japanese. However, I did not give up on my Japanese studies despite his influence. This has also made me have a greater passion for learning Japanese too. 2. My Japanese study routine usually starts from morning to night in the holidays. a. In the morning, I memorize vocabulary from a vocabulary book that I bought (日本語単語スピードマスター). I’m a person that does not like to memorize so I use a special strategy to memorize vocabulary, which is memorizing vocabulary when I’m busy. I memorize one word and keep repeating it in my mind when I’m busy. When I memorized that one word, I will continue with another new word while I continue busying. This really helps me a lot in memorizing vocabulary as it lessens my burden to memorize. This is because I don’t need to find another time particularly just for memorizing vocabulary. b. 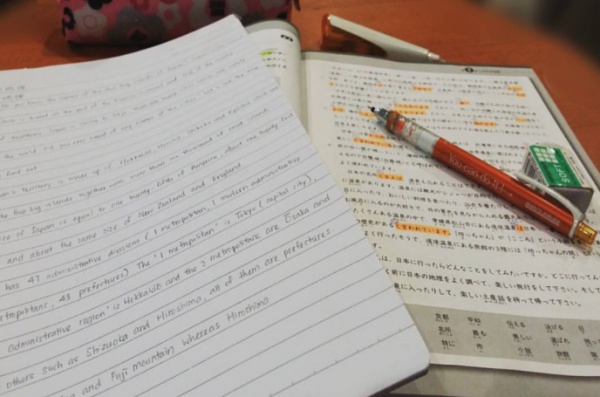 In the afternoon, I write a composition using the grammar points that I learned from my textbook to memorize them better or creating vocabulary flashcards for future revisions before the JLPT exam. 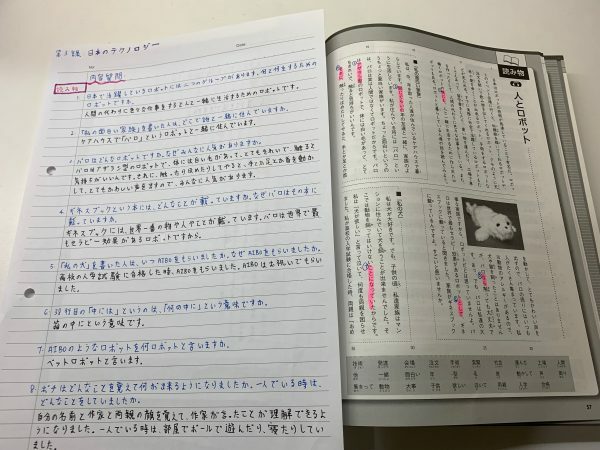 Then, I study my Japanese textbook at night. I did not focus on Kanji because I can understand and write Chinese characters so I only focus on the pronunciation of Kanji when I’m memorizing vocabulary. 3. 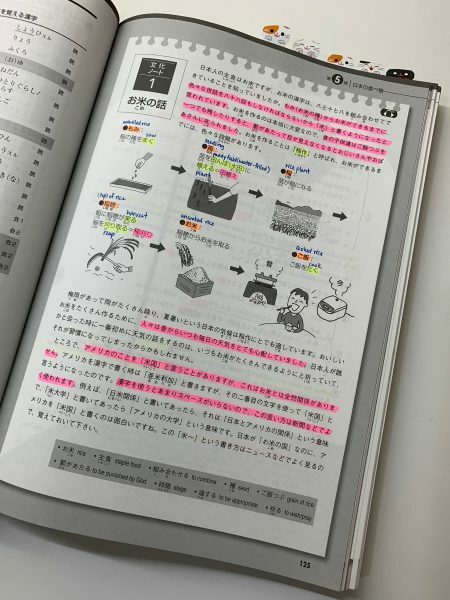 I always like to break down my Japanese textbooks into small sections because it can help me focus and concentrate better. 4. 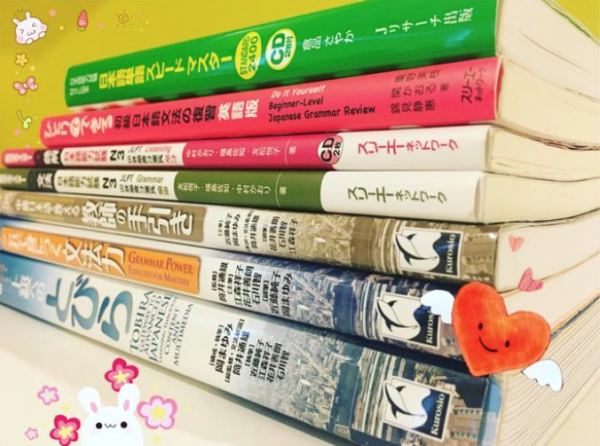 One of the tips to learn Japanese fast is that have at least 2 months time for revision. When I know that I have a lot of time for revision, I study faster by just highlighting and understanding what I’m studying instead of spending a lot of time memorizing it. When my holidays end, I will have lesser time to study. Therefore, I will revise everything I learned and do a mock test when my school starts. This has saved me a lot of study time and also, I could focus on my school’s studies too. 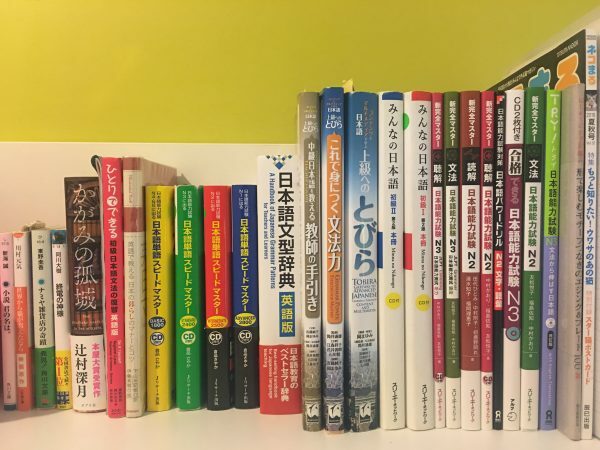 For study materials, I usually do research online to get more information about the review of different Japanese textbooks. For example, I would watch Youtube to see what kind of textbooks that Japanese learners recommended. If possible, I would also read through the preview of textbooks online to see how the textbooks look like. Sometimes, I would go to a bookshop (Kinokuniya) to survey books by myself. The survey will usually take a few days. I always buy my books at Kinokuniya although the books there are quite expensive. But, I still bought them there because I think that the quality of the books are worth the money I spent. My dream is to be a Jap-Eng translator in the future. To achieve my dream, I practice translation by translating texts from my textbooks sometimes. Because I could speak more than three languages, I think that it has helped me to learn another foreign language more easily. This is because I can switch languages easily as I tend to switch languages a lot in my daily life. For example, I talk to my family in Hokkien, my friends in Chinese and English and my boyfriend in Japanese. Lastly, for those that are earning on and off, can’t find the motivation to stay consistent with their studies, I think that they should find a time to sit down, relax and recall back what was the reason they started learning it. Also, recall back the memories that they’ve gone through in their study journey. I hope this might help them a bit to make them get back to their studies. I hope that in 2025, I will be a successful Jap-Eng translator working in Japan, married and living in Japan. I also hope that I will be proficient in Japanese like a native Japanese speaker.